The US and China are leading a push to bring the Paris climate accord into force much faster than even the most optimistic projections – aided by a typographical glitch in the text of the agreement… So far, the US, China, Canada and a host of other countries have promised to join this year – boosting the hopes of bringing the Paris deal into force before the initial target date of 2020 – possibly as early as 2016 or 2017, according to officials and analysts. Earlier this month the satirical newspaper The Onion “reported” on the discovery in a Californian university’s archives of a dusty, yellowing report saying the time to act on climate change is now. This week life imitated art, as it was revealed that there is indeed a decades-old report to be found in a Californian archive warning of climate impacts. The real report, as opposed to the satirical one, was written in 1968 by scientists at the Stanford Research Institute, who sent it to the American Petroleum Institute to warn of the possible impacts of carbon dioxide emissions. Australia’s greenhouse gas emissions are on the rise. Electricity emissions, which make up about a third of the total, rose 2.7% in the year to March 2016. Australia’s emissions reached their peak in 2008-2009. Since then total emissions have barely changed, but the proportion of emissions from electricity fell, largely due to falling demand and less electricity produced by coal. But over the last year demand grew by 2.5%, nearly all of this supplied by coal. In 2015 I wrote about concerns that Australia’s electricity demand and emissions would start increasing again. This has now come true. So what’s driving the trend? Australia, along with the rest of the world, must decarbonise its energy sector by 2050 to have any hope of averting dangerous climate change, and the Climate Institute has released research to help get there. The report, A Switch in Time: Enabling the electricity sector’s transition to net zero emissions, finds that a $40 carbon tax could meet the government’s 2030 target of a 26-28 per cent emissions cut based on 2005 levels. However, it would not lead to coal being replaced with clean energy. NEW ZEALAND – With a historic global climate agreement about to be signed in New York, a new report has laid bare how New Zealand will be affected by climate change. The report, published by the Royal Society of New Zealand, has found that climate change, already underway, will almost certainly accelerate this century unless drastic action is taken to reduce global emissions of greenhouse gases… The report finds it likely that the sea level rise around New Zealand will exceed the global average, which will cause coastal erosion and flooding, especially when combined with storm surges. NEW ZEALAND – Scientists are calling for meaningful, drastic action to mitigate climate change amid accusations that the Government has been “cheating” its way to reducing emissions. “The Government line is, ‘We are on track and doing our bit and we have the emissions trading scheme’ … but that’s only because they can trade away emissions we have made in New Zealand,” climate scientist Professor James Renwick of Victoria University said. A report titled Climate Cheats, published on Sunday by the Morgan Foundation, claimed fraudulent carbon credits bought from Russia and Ukraine did not represent real emission reductions. 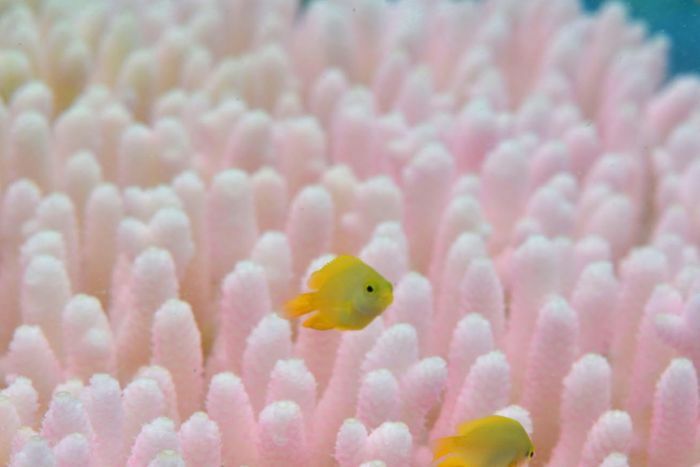 Corals on the Great Barrier Reef developed a protective mechanism that helped them survive past bleaching events, according to a new study. But more than a quarter of reefs could lose this protective mechanism within 40 years if sea level temperatures rise as little as 0.5 degrees Celsius above present levels, Australian and US scientists report in the journal Science. These images are a selection of photos taken recently near Lizard Island off the North Queensland coast. They document the ongoing bleaching on the Great Barrier Reef as ocean temperatures continue to be driven upward by climate change. The giant coral bleaching event that is devastating wide swaths of the Great Barrier Reef has extended all the way south to Sydney Harbour, researchers say. The harbour’s surface temperature reached 26 degrees at times during a prolonged marine heatwave in recent months that had also set records for parts of the Australian coast. Air quality across Australia has deteriorated to alarming levels with the coal industry the nation’s worst polluter, new data has shown. The most concerning rise in air pollution is from PM10, a coarse pollution particle about the width of a human hair. Nationally, total PM10 emissions have increased 69 per cent in one year, and 194 per cent in five years. The figures come from the National Pollutant Inventory’s 2014-15 report which collects information about toxic pollution. Non-profit legal practice Environmental Justice Australia (EJA) spent the weekend analysing the figures, which were released on Friday. NEW ZEALAND – Nearly 15 years ago, six kaka were released into Wellington’s Zealandia wildlife sanctuary, as it started work to regenerate the dwindling population of a native parrot that had once thrived in the area. Now, after thousands of hours of volunteer work, and the banding of 750 birds, the sanctuary can step back from closely monitoring kaka, and leave them to continue to breed and spread across Wellington. Norway’s sovereign wealth fund, the world’s biggest, has excluded 52 coal-related companies in line with new ethical guidelines barring it from investing in such groups, Norway’s central bank said on Thursday. The move was seen as a sign of the growing influence investors wield in the fight against climate change. The value of Australia’s natural wealth nearly doubled in the decade to 2015, according to the Australian Bureau of Statistics (ABS), rising from $3 trillion in 2006 to $5.8 trillion in 2015. The figure represents natural assets that fuel the economy, such as minerals, forests, farmland and clean water. It is the first time the ABS has compiled the environmental and economic indicators in this way, painting a picture of how much of the nation’s natural assets are eroded — or improved — by economic activity. Here’s a question that, in one form or another, has been asked repeatedly over the years: how long can Australia carry on its reliance on coal, gas and resources, in the face of looming economic and environmental pressures? This problem has become increasingly acute with the sharp decline in world prices for fossil fuels, particularly coal. Coal is, on some measures, one of Australia’s biggest industries. But many analysts warn that it is facing a permanent structural decline, with a zero-carbon world economy as the end point. So, the question posed above, while it applies to almost any major mineral commodity, is of most relevance to the decline of coal, because it is already well under way. What will happen if world’s biggest companies don’t take water seriously? Under the new Sustainable Development Goals, 193 countries have pledged to deliver water for all by 2030. With the UN recently publishing a list of indicators to evaluate progress, now is the time for the business sector to step up and contribute. Plastic waste covers our oceans and landfill. The past 70 years of plastic waste have resulted in pollution so ubiquitous scientists say it’s a marker of a new geological epoch, the manmade Anthropocene. 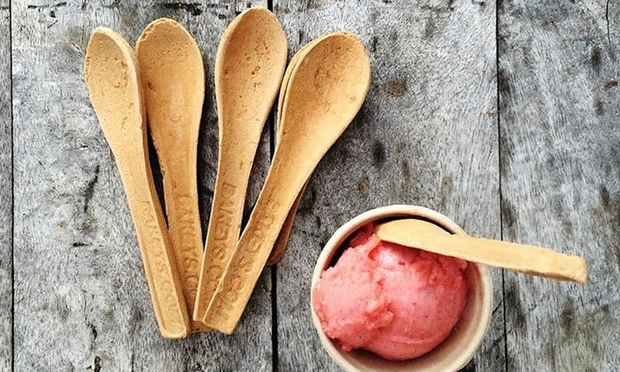 Plastic cutlery is a contributor to this enormous problem – estimates suggest the US alone uses 40bn plastic utensils a year – but the founder of Indian cutlery company Bakeys thinks he might have a solution. Cutlery you can eat. Sam Judd: Should water be a basic human right? NEW ZEALAND – …I am sure none of you will be surprised that I am not a fan of water being put into plastic bottles. We remove thousands of them from the coastline and they are a plague to the environment. Single-use plastic – the most commonly littered category of litter that enters our oceans – is eaten by fish and poisons the food chain as I have mentioned before. CuriousCity: Plastic bags & pongy milk bottles, what really happens to recycling? NEW ZEALAND – Suspicion shrouds the recycling process like a clingy piece of Glad Wrap. So when Oji Fibre Solutions, the company running Wellington’s recycling sorting plant, wouldn’t allow a reporter to visit, or to interview anyone, we weren’t off to a promising start. While about 85 per cent of us dutifully collect and sort our recycling into glass – out one week – plastics, papers and tins the next, many don’t know what happens after that. A panel of experts joined us online to talk about preventing and getting value from food waste. Here’s what we learned. When we published a paper in 2013 finding 97% scientific consensus on human-caused global warming, what surprised me was how surprised everyone was. Ours wasn’t the first study to find such a scientific consensus. Nor was it the second. Nor were we the last. Nevertheless, no-one I spoke to was aware of the existing research into such a consensus. Rather, the public thought there was a 50:50 debate among scientists on the basic question of whether human activity was causing global warming. The timing of Richard Denniss’ book Econobabble could not be better, as there’s nothing like a looming election to turn up the spin and bring out the economic nonsense. Consider this your go-to-guide for measuring any policy announcement or general posturing. The beauty of it lies in the combination of intelligence and wit. Being an economist himself, Denniss brings to the topic an astute understanding of the basic principles and how they have historically proven – or in some cases disproven – their veracity. AUSTRALIA – The government plans to push ahead with its controversial “chain of responsibility” environmental legislation, despite concerns it will have “unintended consequences”, with Environment Minister Steven Miles hoping to have it passed by the end of the week. The bill, aimed at Clive Palmer following the issues with his Townsville refinery, is designed to give the government the power to ensure resource companies meet their environmental responsibilities, even if they go into administration. The sky is blue and you are walking through a park, speaking with a colleague, discussing a new project. You feel energised, puffing slightly as your pace speeds up with the excitement of tossing around ideas as you walk among the trees. This is how the Nature Conservancy envisages you may spend an hour of your working week this week. April 18-24 is Work with Nature Week, a campaign to encourage Australians to engage with the natural environment. The hope is that you will come to appreciate nature – if you don’t already – and support conservation efforts. NEW ZEALAND – An Auckland diabetes specialist has slammed the government for its lack of action to fight obesity. Dr Robyn Toomath says the government needs to use fiscal measures to combat obesity, by making healthy food more affordable than unhealthy food. Australian governments should take note. China’s recently released Guidelines for Strengthening Urban Planning and Development show that even in one of the toughest urban challenges on the planet, there is a plan to improve things. Thanks to ULI Asia (see the original text here), we now have a translation that reads pretty much as a standard that can be applied anywhere, presented here. Victoria network operator Ausnet Services is to take part of a Melbourne suburb completely off grid, powered only with rooftop solar and battery storage, in a first-of-its kind trial in Australia that points to the speed of the household energy revolution. There is growing interest in the use of mini-grids in Australia, using local renewable energy sources to take remote towns and new housing developments either completely off the grid, or equipped with a “small” connection. AUSTRALIA – A ground-breaking project that will allow a select group of households on Tasmania’s Bruny Island to sell their surplus, battery-stored solar power generation back to the grid has been granted $2.9 million from ARENA, in the latest round of funding announced by the Australian Renewable Energy Agency. UK – A penny on the price of milk could be the difference between a river system teeming with salmon, sea trout, otters and bullheads, and degraded streams full of silt. Hundreds of acres of maize grown in the West Country to feed large dairy herds housed in sheds allows milk to be produced slightly cheaper than from cows that eat grass. NEW ZEALAND – Animal welfare campaigner SAFE says new proposed rules do not go far enough to protect livestock. Among its criticisms are that the regulations would allow bobby calves to be transported at four days old rather than the 10-14 days standard in Europe, and that sows would still be kept in farrowing crates. SAFE maintains that these crates breach animal welfare legislation but the pork industry disagrees, saying they are considered a humane method of preventing sows from crushing their piglets… Feedback is sought on the proposals by May 19. For more information, visit www.mpi.govt.nz. AUSTRALIA – Ross Mars explains the various techniques used at Candlelight farm which help to create a permaculture demonstration site, but also a fully functioning home and ecostay.